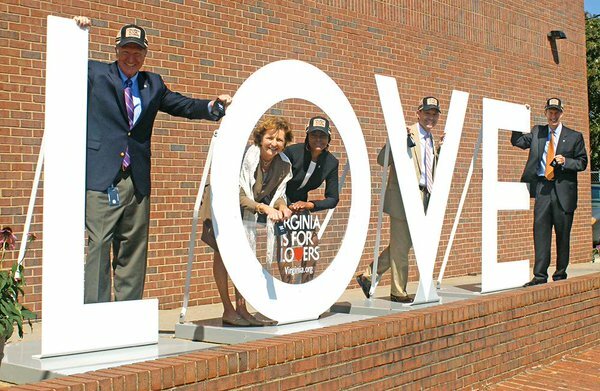 The summer partnership between the Virginia Department of Alcoholic Beverage Control (ABC) and Virginia Tourism Corporation (VTC) offering “Virginia is for Lovers” trucker hats with every purchase of Virginia wine and spirits at select stores resulted in an almost 116 percent increase in sales of Virginia-made products. Nine Virginia ABC stores across the commonwealth were supplied with the extremely popular trucker hats emblazoned with VTC’s venerable slogan, handed out with every purchase of a 750 mL or larger bottle of Virginia wine or Virginia craft spirits. Employees of these stores also wore co-branded polo shirts with both the Virginia ABC and “Virginia is for Lovers” logos during the promotion, which ran Memorial Day through Labor Day. Virginia ABC reported that total sales at the stores topped $196,570, a $105,501 increase over 2014, and more than 9,488 bottles of Virginia-made product were sold. The success of the trucker hat promotion has led to a second partnership effort for Virginia ABC and VTC. Cowbells branded with “Virginia is for Lovers” are now being handed out free with the purchase of a 750 mL or larger Virginia-made spirit or wine to highlight the UCI Road World Championships coming to Richmond Sept. 19-27. The cowbells-the noisemakers of choice for professional cycling events-are available at 35 Richmond-area stores. A complete list of the participating stores is available athttps://www.abc.virginia.gov/about/visitor-information.